One of India's most popular sedans is set to be updated next year, and we now have the first renders of how the new design may look like. 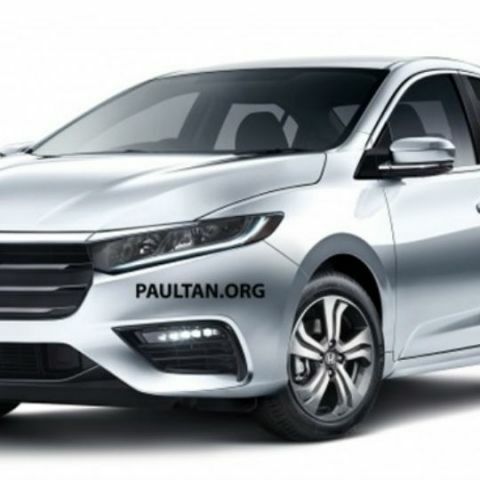 The first renders of the 2019 Honda City have arrived. The upcoming model will take inspiration from Honda's Insight prototype, and going by the renders, will present a bolder design language that may be polarising to the audience. Nevertheless, Honda will aim for a successful run with the upcoming sedan in India, seeing how popular the City has been over the last two decades in the country. From the renders, Honda appears set to change the front fascia, and instead of the wide chrome belt adorning the present generation City's nose, the upcoming variant appears to have a cross between the matte arrow grille from the previous generation City, and a thin chrome line that runs all along the front. The LED headlamp housings appear to remain similar, and continue with the LED daytime running lights (DRLs) that has almost become a norm. To the rear, the City may have a flatter boot, which also looks stiffer visually. The tail lamps are swept back and extend towards the C-pillar, although the overall dimensions of the City may remain similar. With the present generation Honda Civic set to make a comeback in India, the new generation Honda City will also aim to improve in its overall premium appeal. The overall interior design may also be improved, along with the overall quality of components. Honda's asymmetric dashboard has also received polarising feedback, and so has its DigiPad infotainment platform, which we hailed for its familiarity and ease of usage, but struggled with its ragged edges. Internationally, the Honda City may also come with the company's i-MMD hybrid powertrain, although that may not make it to India. One of India's most loved sedans, the Honda City was actually one of the first successful premium family sedans in the country, achieving widespread popularity against the likes of Opel and Peugeot failing in the same market. However, by 2019, the market is set to become more competitive, with a potential comeback on the cards for Peugeot, and new players like Kia set to begin operations in India. In such a market, it will be interesting to see if the facelifted, upgraded Honda City will manage to hold its ground in one of its most successful markets globally.